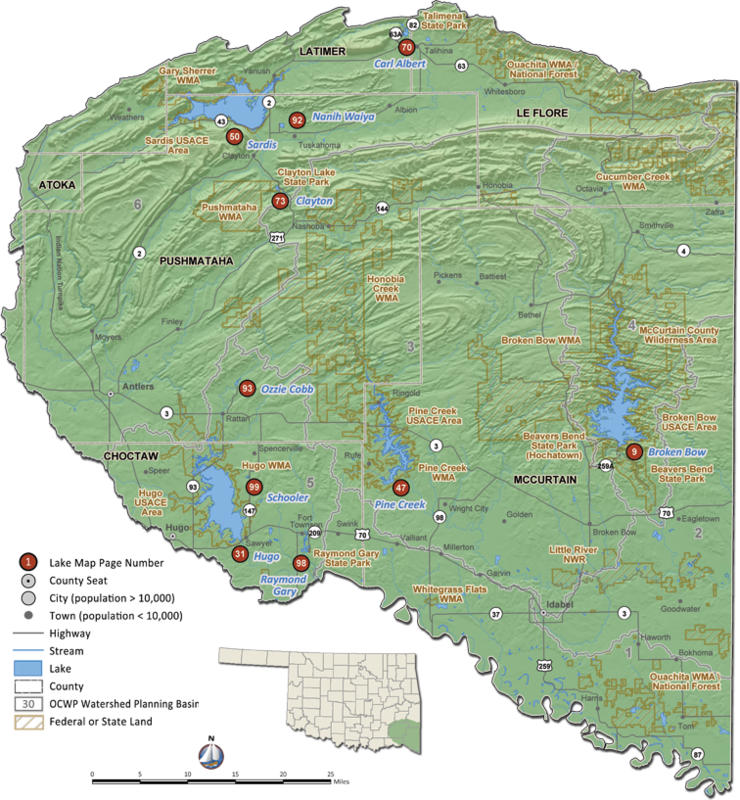 The Southeast Region encompasses 4,437 square miles in southeastern Oklahoma. 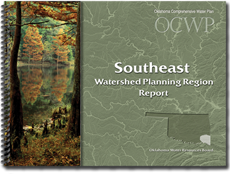 The region is supplied by four major rivers: the Red, Kiamichi, Little, and Mountain Fork. The Southeast Region accounts for about 3% of the state’s total water demand. Surface water supplies are used to meet about 96% of the region’s demand. The largest demand sectors are Self-Supplied Industrial (60%), Thermoelectric Power (14%), and Municipal and Industrial (12%). By 2060, this region is projected to have a total demand of 72,930 acre-feet per year (AFY), an increase of approximately 14,830 AFY (26%) from 2010.